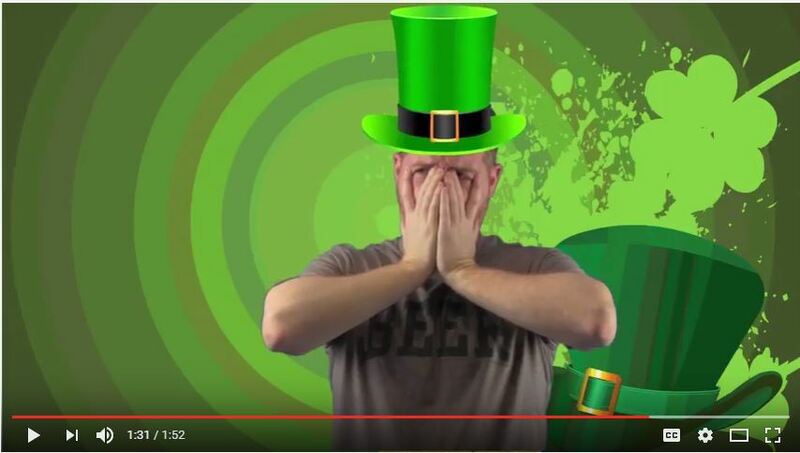 All we wanted was a jolly leprechaun to give a solid run down of all our new designs, but our actor wasn’t being a team player. 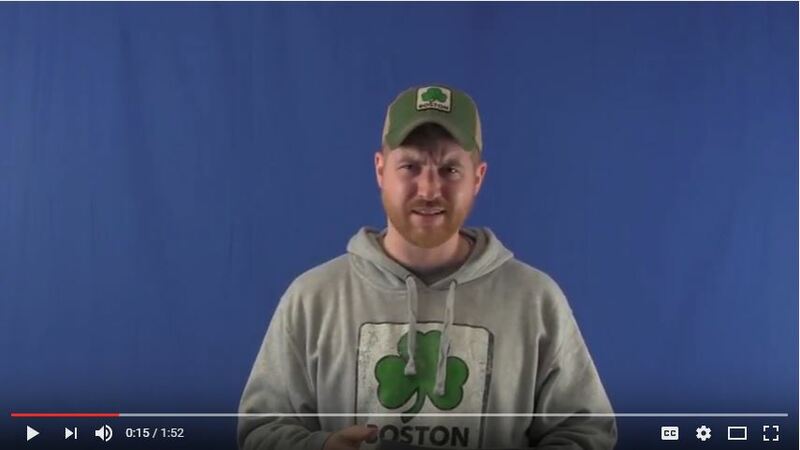 We try to celebrate all our employees, but some aren’t exactly grateful for the spotlight. 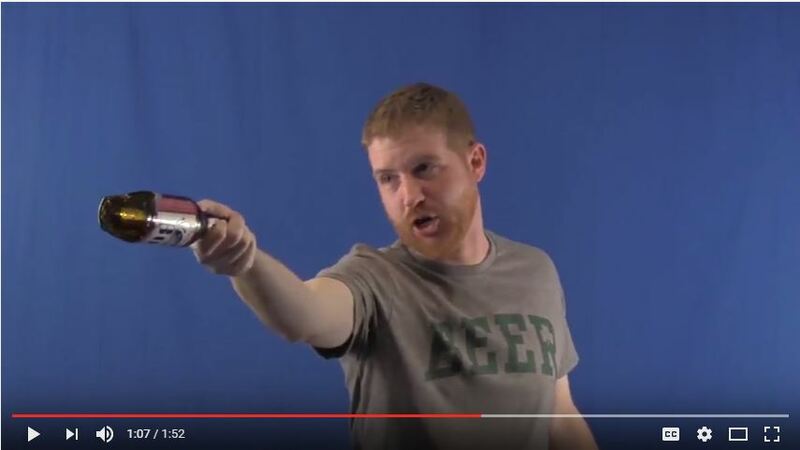 His Irish anger boiled over not even 15 seconds into the shoot, spewing things about racism and discrimination, so we had to get creative. Why not just use some one else, you ask? Well we tried, but he’s the only red head in the building and it didn’t feel as authentic as when he was on the big screen. We carried on as long as we could, dressing him up in our very best Irish gear. 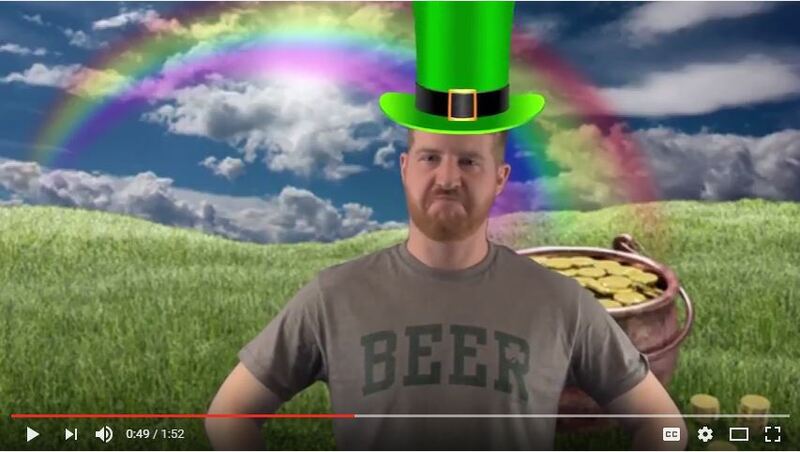 But it all came to a head when our friendly neighborhood leprechaun smashed a beer bottle and tried to assault the camera man. Talk about stereotypical amiright? But we persevered, and we carried on, and we put together a pretty damn compelling commercial. He may be a little scared, but he’ll learn to appreciate what we do for him in time. 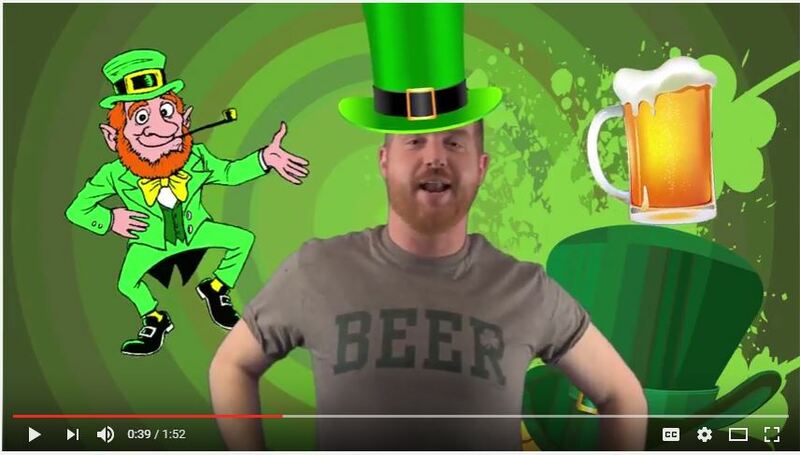 You can find all of our St Paddy’s gear by clicking here or shop right here! Check out all our gear below.